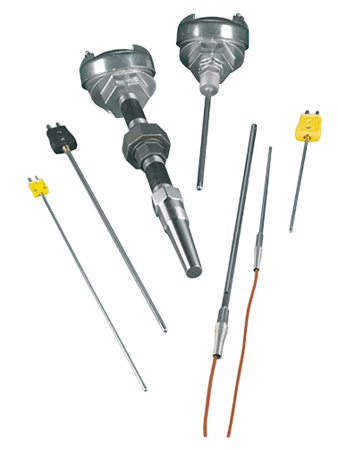 Watlow’s mineral insulated thermocouples are fast-responding, durable and capable of handling higher temperatures. These thermocouples are manufactured with XACTPAK®, Watlow’s trademark for metal-sheathed, mineral insulated (MI) thermocouple material. XACTPAK® responds fast because the protective metal outer sheath allows the use of smaller diameter thermocouple conductors. The rock hard compacted MgO insulation further enhances the sensor’s ability to “read” temperature by transferring heat quickly to the measuring junction. The XACTPAK® protect in sheath and compared insulation out performs bare wire thermocouple in most applications.